Jojoba Oil is a light-textured and deeply penetrating oil with excellent softening and moisturising properties. 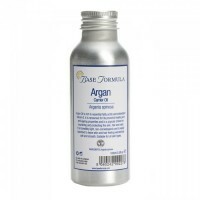 It closely resembles the skin’s own natural oil, sebum, which makes it ideal for use on the face. It is particularly suitable for dry, mature and oily skin, and is also excellent for the hair and scalp. Jojoba Oil (Simmondsia chinensis) is actually a liquid wax that is extracted from the beans of a plant that grows in the deserts of South America. 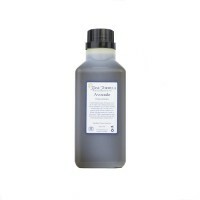 It is a light textured and deeply penetrating oil that is profoundly nourishing for both skin and hair. It is rich in Vitamin E and also contains Vitamin A, Vitamin B1, Vitamin B2 and Vitamin B6. Jojoba Oil has excellent moisturising and emollient properties that are suited to all skin types, including dry, mature and teenage skin. Its chemical constituents closely resemble the skin's own natural oil, sebum, which means that it can be helpful for re-balancing oily and problem skin types. It is also an effective hair conditioner that will help to nourish and protect the hair and scalp.